This is a matching pair of 1388 Kva MTU 385 super charged diesel gensets for urgent sale. 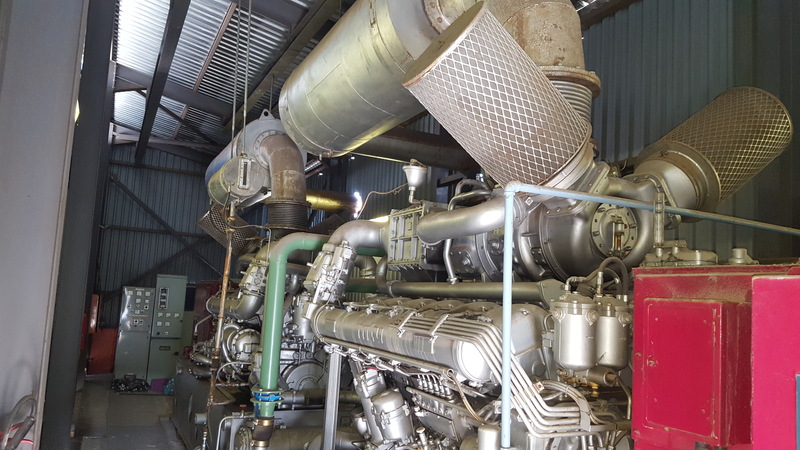 They were used as standby power at a production facility in Cape town South Africa. These generators come as a set having a common diesel tank, starter compressor, cooling tower and transformer.